Please also sms your phone number to me (0418610106) so that I can check that you have received the document (some emails simply dont get through/ get stuck in junkbox etc). It would um…..bother me if you paid for it & dont recieve it! 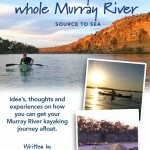 For more information about the magnificent Murray – please visit http://www.murrayriver.com.au/. A very comprehensive website about everything to do with this iconic river. THE LARGEST WEBSITE AND BRAND FOR THE MURRAY RIVER IN THE WORLD! Shane Strudwick’s Murray book is a must read!